Any idea when the first episode will be released? I was hoping to get the same info. Is there an ETA on a release? Unfortunately Jester had to drop out of the project for personal reasons and I've had to take some time to recast him. My new Leonardo has fortunately begun recording and as soon as I start getting stuff from him I'll be able to complete the first few episodes. 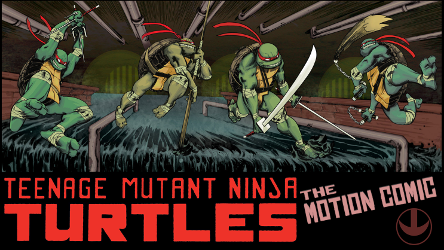 Most of the cast (about 30 people I've had to keep up with, yes I'm insane ) has already recorded through about 70 issues of TMNT comics so it has taken some time but we're getting very close now. NOTE: Since I am still waiting for my new Leo's lines, the Leo voice in this video is not the real deal. Since he only as one line I used a fill in so I could get this episode to you today. Last edited by Desslok; 12-31-2015 at 07:47 PM. I listened to the whole thing right before the new year. Awesome job! I really can't wait for more. Nice I liked this micro and glad to see it get a nice dub. Now I'm curious how you will do the Splinter Micro as I liked that one a lot as well. Quick question, will you be doing the infestation cross over? I thought it was a nice one off story. Production is still under way, I do hope to be making an announcement about the series premiere in the near future. you guys think you could add some music for the fight sequences? like the one used for the intro to the comics? it would definitely improve the comics, other than that I'm really enjoying it! Luckily you won't have to for much longer. What's the release schedule for these? Is it every Thursday?